Are keywords still important for SEO? Keywords have always been important for SEO. Search engines like Google have, from day one, relied on keywords to determine what we’re looking for when we search. But, especially recently, there’s been talk in the SEO industry about keywords decreasing in importance. The question is, what does that mean? Are keywords not important anymore, and if so, how should you adapt your SEO strategy? In short, Google’s become much, much more sophisticated. With the growth of voice search and artificial intelligence, search engines have become better at deciphering what we’re looking for, regardless of the keywords we’re choosing to use. So, if you and I are both searching for something, but we use different keywords to express ourselves, we will now likely end up in the same place. In the past, we might have gone in very different directions. As the job of the modern SEO practitioner continues to evolve, understanding the why behind each search, and the needs of the person searching, is as important as the keywords they’re using. 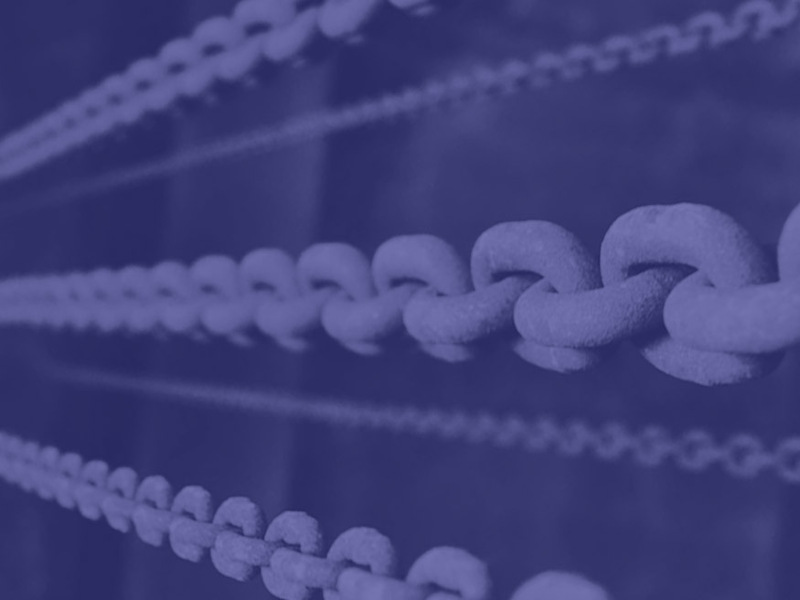 With that in mind, let’s have a look at how keywords – which yes, are still important – must entwine with a well-rounded content and SEO strategy that helps searches get what they really want. How will your customers find you if you don’t present a solution to their problems? Before your customer knows your product or service they need to search for a solution to their problem. Have you presented your customers with a landing page that answers their questions? Have you made this information available and accessible to them? In many ways, keywords are powerful clues about your customer’s problems. Your products and services are the solutions to their problems. 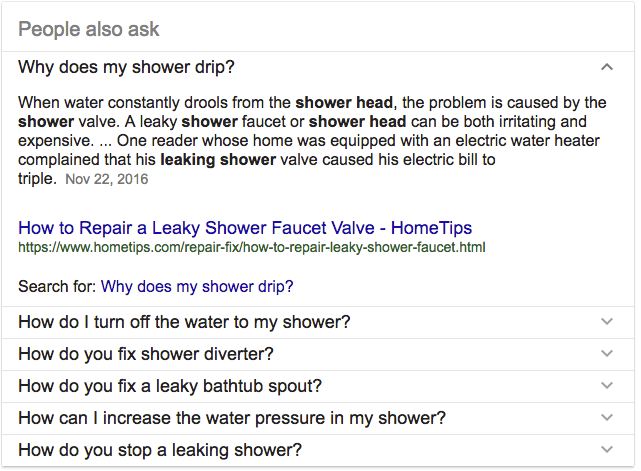 For example, before your customers even know your product or service exists, they’re most likely going to search for an answer to their problem – for instance, “How do I fix my leaking shower?”. This is where your content marketing strategy comes into play, reflecting the intent of these keywords to offer content answering this problem. The ‘People also ask’ allows a user to quickly get the answer to their question in a small drop-down snippet. These questions appear through semantic search, so the user no longer has to dig for other related questions to get the best answer. So depending on what problem requires assistance, the queries people type into Google offer a ready repository of keywords for your SEO strategy. This is why search queries and the intent behind them are now more vital to understand what your customer’s needs and wants are. Not everyone on the internet is out to buy things. Users may have their first interaction with your brand when they’re looking up a particular topic. This distinction is key to separating the informational searches from the transactional ones. If you don’t target your customers by providing relevant content at the informational search stage, you’re missing a lot of opportunities to market your product or service. Most of your potential new prospects won’t know what you’re selling and it’s important to create content to mould it as the solution to their queries. Your customer at this point will already know what they’re looking for. They already know they need the product or service because they are seeking the solution. In fact, they are thinking about making the purchase, but they might just be unsure and require more information. 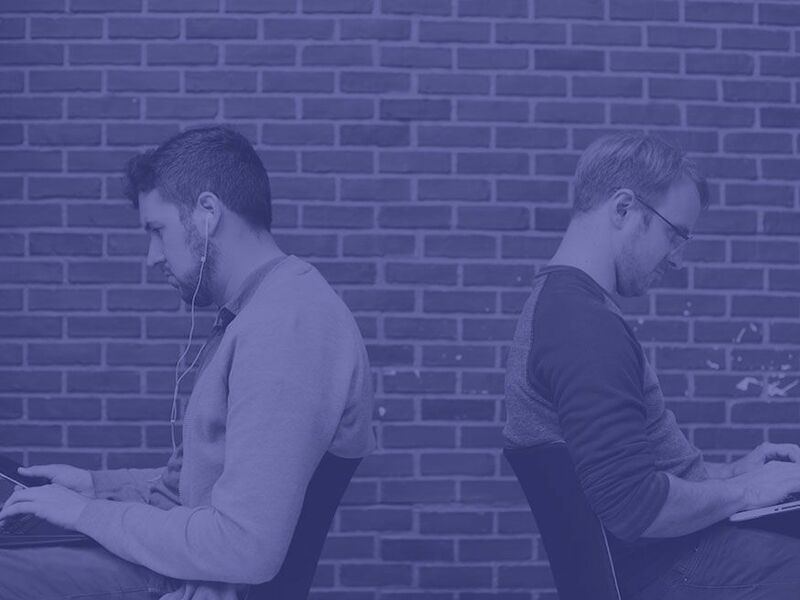 The best way to cater to commercial queries is by having well-optimised landing pages featuring a strong call-to-action and information that’s easy to find. Non-commercial intent (informational): are the type of keywords people use to seek more information about what they are looking for. These types of queries would be more for informational purposes. For example, a user may be looking for shoes to wear for sport. Informational search queries would like “cost of women’s sports shoes” or perhaps “best men’s shoes for running”. At this stage in the user’s buyer journey they are not ready to make a purchase and most likely they’re not sure what brand they’d like to go with. They are simply looking for different options to influence their decision. By identifying the right keywords for both commercial and non-commercial intent you will increase your chances of organic search visibility. When SEO become prevalent it was necessary to keyword stuff into your copy so that it would be indexed and ranked by Google. This resulted in copy that didn’t really make sense, was repetitive and to be honest, not easily readable. You may have experienced high bounce rates, due to copy being unnatural and also customers not really getting the relevant information they needed. Google changed its algorithm in 2013 and gave us the Hummingbird update. Hummingbird has the ability to the look at the intent and relevancy behind a user’s search term rather than rank sites that only match the exact keyword phrase. Back before the algorithm changed in 2013 if you searched for “burger restaurant”, websites that were the most optimised for this keyword would rank higher. 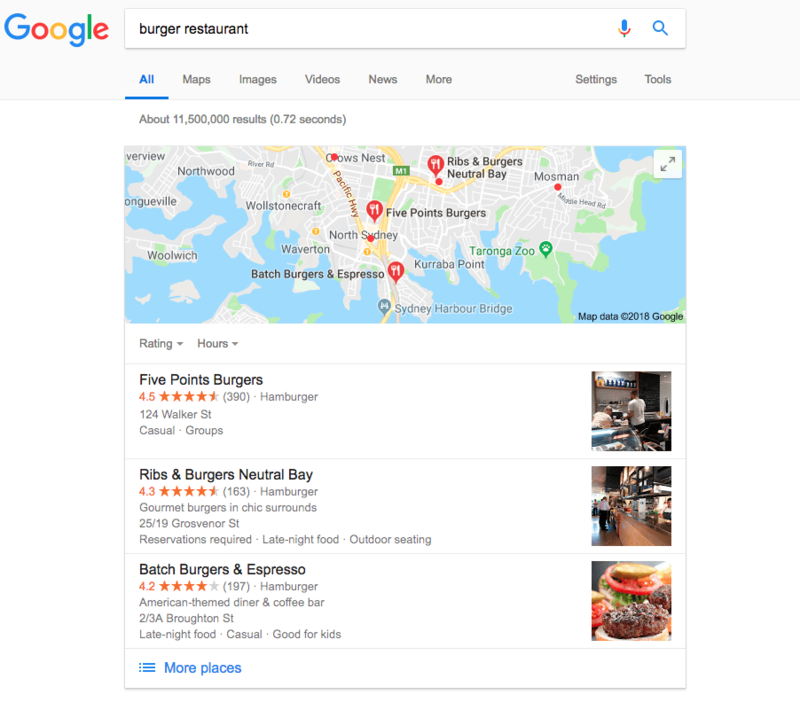 Now with the use of semantic search, Google is able to pick up the user’s search intent and see that they are in fact trying to find the nearest burger joint from their home. This means you shouldn’t stuff your content with keywords because Google would still know what users want based on their query, location, and search history. In this case, if you’re a business that operates in multiple locations, it’s essential to invest time in local SEO to maximise your reach on Google. In continuing with the Hummingbird update discussion, voice search is becoming more prevalent as more users are finding it more convenient to use than typing in their queries. In fact, of the 3.5 billion searches performed on Google every day, almost a third of these are voice searches. So do we really need keywords, if potential prospects are just going to pick up their phone and start talking to Google with their own questions? 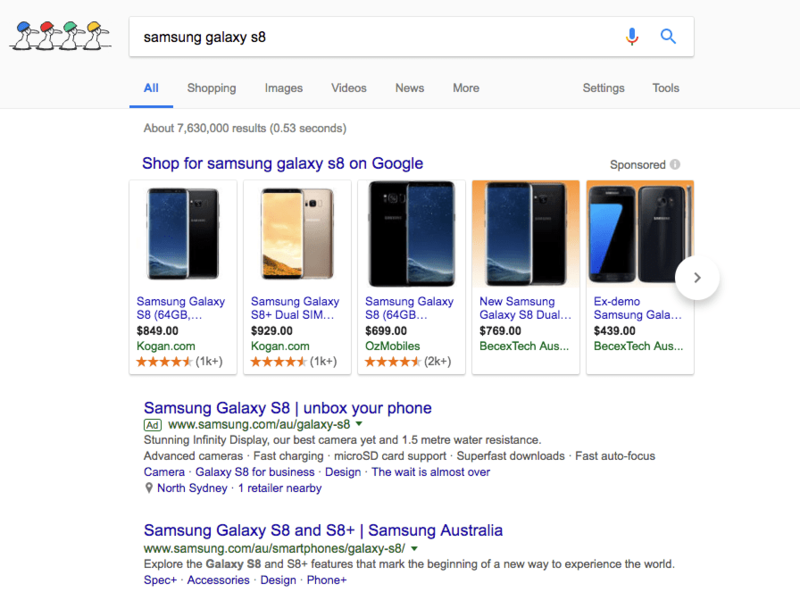 Is there a need for keywords anymore when Google can listen to natural language and still bring the most relevant information to your query? You still do need keywords. Why? Because Google still needs to listen to the intent behind your voice search and find the relevant information, without the use of keywords being used in your content, how can Google find what you’re looking for? 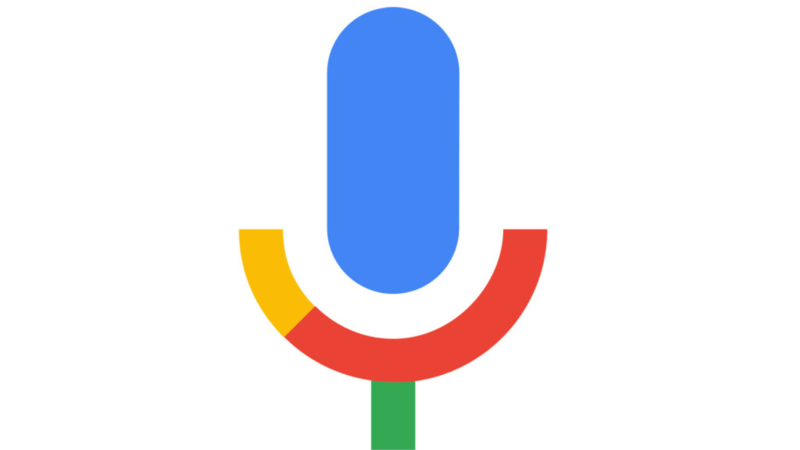 By 2020, most users will have fully converted into using voice search. To optimise your website for voice search will be different for normal text search queries. For example, if you’re a business that sells pizzas, the text search query would be “pizza delivery”. For voice search, it could be “find pizza delivery near me”. In addition, you’d need to create content for the site that uses natural language rather than basic keywords. Include questions and answers that your customers would be asking and present them in a way that is natural and flows well. Google will listen to a voice search enquiry and use the intent to serve the most relevant results on the search engine results page. Any keywords that are associated with your query through voice search will appear on the first page of the search results if you’ve mapped your site and content well with the right keywords. So are keywords dying? We don’t think so. Considering that 90% of people never venture beyond page 1 of Google, there’s always going to be a scramble for the top 10 rankings. However, to be reached, you need to be discovered. This is only possible with the correct keywords mapped to your content. Helping you navigate and leverage the world's most powerful digital marketing channels.